An experience of sensuality, becoming luxury and sophistication, that tells about rarefied and caressing atmospheres where animal rush joins to an unusual sweetness. 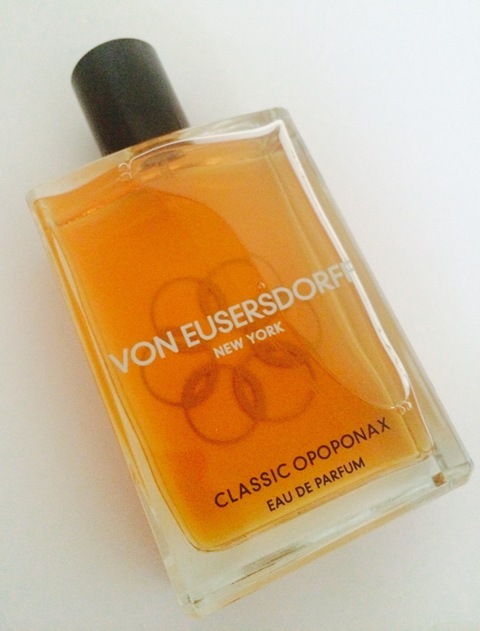 Resins, petals, balsamic scents, that is what is embodied Classic Opoponax, the new scent for women and men by the niche perfumery brand Von Eusersdorff New York created by Camille Henfling Jr.. Eroticism dyes with sacredness, as it evokes the core of fragrance, opoponax ( one of my favorite fragrances along with patchouli and vetiver), known also as sweet myrrh, featuring in the heart of its olfactive pyramid along with benzoin. Black patchouli, animal notes of castoreum, amber and vanilla are the base notes of this perfume which is enriched by rose and jasmine, top notes perfectly combining with the honeyed quality of opoponax. A wrapping and irresistible alchemy, made of lights and shades which draws the paths of desire, elegance and its uniqueness. Un’ esperienza di sensualità che diventa lusso e raffinatezza e dipinge rarefatte e carezzevoli atmosfere in cui l’ impeto animale si unisce a un’ insolita dolcezza. 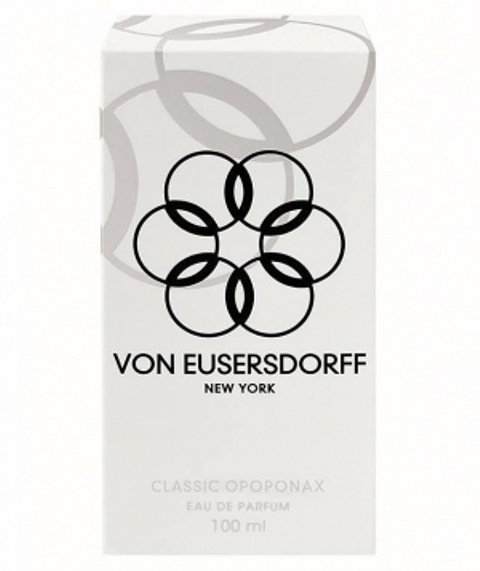 Resine, petali, sentori balsamici, questo è ciò che racchiude Classic Opoponax, il nuovo profumo da donna e uomo del marchio di profumeria artistica Von Eusersdorff New York creato da Camille Henfling Jr.. L’ erotismo si tinge di sacralità, come evoca il nucleo della fragranza, l’ opoponax ( uno dei profumi che preferisco insieme al patchouli e vetiver), noto anche come mirra dolce, protagonista con il benzoino del cuore della sua piramide olfattiva. Patchouli, note animali di castoreum, ambra e vaniglia sono le note di base di questo profumo che è arricchito da rosa e gelsomino, note di testa che si abbinano alla perfezione con la dolce qualità dell’ opoponax. Un’ avvolgente e irresistibile alchimia, fatta di luci e ombre che disegna i sentieri del desiderio, dell’ eleganza e della sua unicità. CONGRATULATIONS ! A GREAT PERFUME ! Your words are written WITH SUCH CLARITY and POETRY. My SENSES were awaken with every sentence, every thought. I THANK YOU, Nunzia Garoffolo for enlightening us ALL with your infinite wisdom and your love for perfume. Darren Johnson.